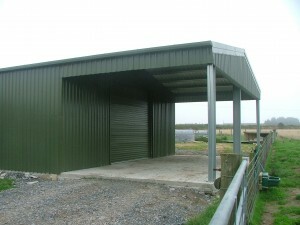 “I have asked by Pembrokeshire Steel Buildings to comment on the Barn they supplied and erected for me. Having had more than 40 years experience in the Construction Industry I have to say it was a very efficient and effective operation. From the outset I was advised with design ideas such as the best use of roof lighting, door types and positions and the use of the roofs for water harvesting. I was provide with plans and elevation drawings in sufficient detail to obtain Planning Permission in the National Park. 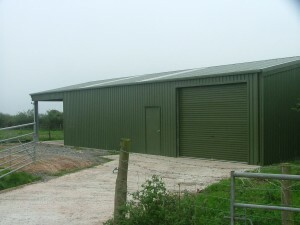 Once Planning Permission was received my role was to employ a local builder to construct to the drawings provided the concrete slab base and during the curing period of the concrete the building was ordered and delivered on the date agreed. 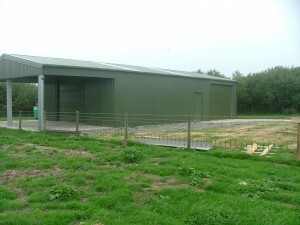 Erection commenced on the date promised and was completed within a week, there have been no defects to rectify the build and build quality have been excellent.